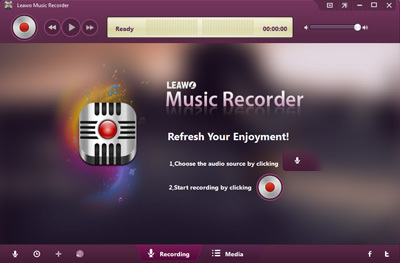 Record audio on PC & Mac is easy with Leawo Music Recorder. It not free software but on the freebies list, the license key of Leawo Music Recorder is full 100% free. Except buy the full serial license key for $19.99, download the giveaway version for $0.00 only. Leawo Music Recorder provides the easiest way to record Mic audio and other audio streams. With this tool, you can record online music Last.fm, iTunes Radio, BBC audio, Pandora music etc. Or you can record from external source. Leawo Music Recorder also features with task scheduler to set start and stop record duration. Download the full version for free from the following link. It will be free until November 12th, 2018. Link offer Leawo Music Recorder: Click here to visit! The giveaway is available for Mac and Windows versions. You can select the versions you want on the free offer page. It easy. Just visit the link offer to download. Select “Get Win Now” or “Get Mac Now” to select the version you want. Enter your email, name and click on “Get it Now” to get the license key and download link installer via email. Internet connection requires to install and activate. It must be activated before giveaway is over. If you need full support and update, buy the license key using coupon code. Use our code and get offer up to 50% off discount. The shopping code on the promo is work on annual and lifetime subscriptions. Select on the option to select the license key version you want to buy. Get free license on the freebies link above or buy with full features on the offer page.